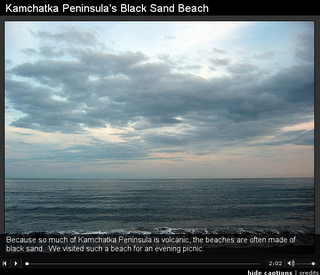 Finally got this slideshow from last week in Kamchatka posted, when Dmitry from Troika took us to see a volcanic sand beach. I love this story with the sound of the waves. Made me feel the cold wind and grainy sand. What a great story and vividly told ! Thanks Lauren for sharing it.